Get ready to feel the beat and ride to an incredible playlist in our immersive cycle studio environment. You’ll ride to the rhythm and feel like you’re at a dance party, all while torching calories and achieving maximum results. This class is a total body workout and incorporates a brief hand weight section to sculpt your arms, shoulders, chest and back. During this 50-minute ride, you’ll be guided through hills, flats and intervals with a focus on power metrics. This class provides the same immersive experience as our Rhythm Rides, without the use of hand weights or choreography. After class, you’ll receive your results via email. Over time, you’ll watch your strength and endurance grow and can track your progress along the way! Our intimate Studio B offers transformative classes featuring In-Trinity® and Small Group Circuit Training. 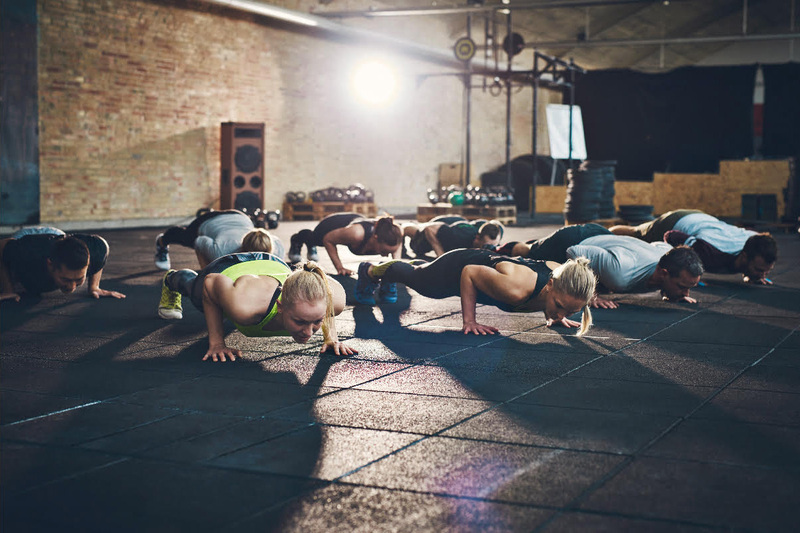 These small classes combine the energy and motivation of group exercise with the personal attention of one-on-one training. Introducing Rebel CIRCUIT!! We’ve enhanced our TRX/CORE class and added a new dimension to this full-body small group exercise class. Expect a few more toys in Studio B… think Bosu balls, medicine balls, resistance bands, free weights, and of course TRX. 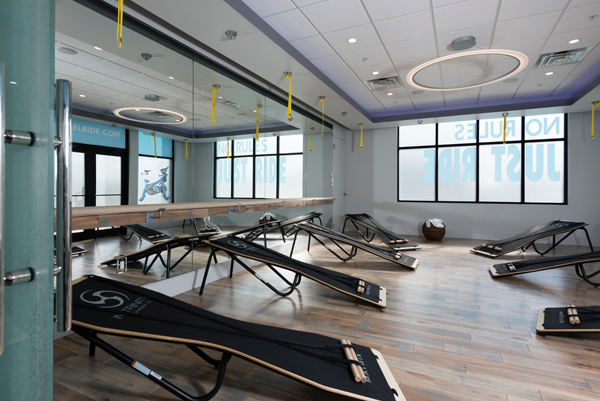 Our trainers will work you through the stations to get the blood flowing and your heart pumping. We’ll set the mood with pulsing beats and our unique lighting, and you’ll be busting through your boundaries in no time! The revolutionary new Johnny G In-Trinity® Board redefines the training environment. This euphoric workout features a unique blend of strengthening, stretching and balancing exercises performed on a patented inclined board. Designed for all levels of fitness, In-Trinity® combines yoga, Pilates and martial arts with a backdrop of calming music to inspire and promote physical and mental wellbeing.